A leading Tier 1 contractor are looking to procure a Managing Quantity Surveyor to help support the Commercial team. My client are one of the UK's most well known construction companies, and has a multi-million pound group turnover. As a group my client cover a variety of sectors within construction, including residential, commercial and maintenance. The region predominantly covers Bristol, Bath, Swindon, Gloucester and Exeter and has 8-10 sites running concurrently at values of up to £30m+. Types of projects vary between Health, Education, Residential, Leisure, Hotels and MoD work. They are looking for a Managing Quantity Surveyor to head up one of their schemes, an £8m new build near Bath. The role is predominantly site based and you will be required to work closely with the Commercial Director helping on cost reports, monthly valuations and profit maximisation. The successful candidate will ideally be degree qualified with experience working within commercial contracting, as well as having knowledge and understanding of managing a team on multiple sites. This opportunity is ideal for someone looking to work for a highly reputable company within a region that is flourishing, and proving to be one of the biggest entities within the group. You will be offered a salary between £50k - £60k depending on experience plus a generous package including a discretionary bonus scheme, private health care, share save scheme and 28 days holiday plus bank holidays. If you are interested in this role, please click "Apply Now" or call . Girling Jones Ltd is acting as an Employment Agency in relation to this vacancy. A large housing developer are looking to procure an experienced Senior Quantity Surveyor to join their commercial team based in Exeter. My client predominantly build Timber Frame residential units, with a small percentage of Traditional Build, within the Devon and Somerset area. My client are looking for a surveyor who has experience working for a larger residential company, building 500+ units per year. You will be running between 2-4 sites concurrently, depending on the size of the site. The main responsibilities will include the preparation of budgets & tenders, valuations and management of sub-contractor.The successful candidate will be offered a competitive salary plus package, including a company car or car allowance, pension scheme, share scheme and Private health care. You will also need to possess the skills to work well under pressure as well as being fully computer literate. Girling Jones Ltd is acting as an Employment Agency in relation to this vacancy. Marks Consulting Partners are currently looking for an Estates Surveyor. The Ideal Estates Surveyor should have experience in general practice surveying including valuations and rent reviews of residential properties. You will be responsible for managing your own workload and holding a substantial influence within the Estates team. This is a great opportunity to develop your experience and share your skills. If you are an enthusiastic, conscientious person and are looking for a new opportunity then this could be the position for you. Key Skills MRICS qualification Educated to a degree level Experience of undertaking property valuations Broad knowledge and experience of managing properties Broad experience of working in an office environment Strong verbal communication skills Strong sense of judgement Good problem solving skills Apply today! Marks Consulting Partners are a privately-owned recruitment consultancy specialising in Property/Surveying across the United Kingdom. We work with clients UK wide and have a nationwide database of active, multi-discipline candidates ranging from Graduate to Senior Executive level. Building Surveyor Location- Rugby Salary- Negotiable dependant on experience Job Description My well-established client is looking for a highly-motivated and experienced Building Surveyor in Rugby. The successful candidate would particularly be interested in an individual who has sufficient knowledge of commercial and residential projects as well as a willingness to work towards their APC and to become Chartered. Although party wall matters and dilapidations make up some part of the business they conduct, ideally they require someone with valuing experience as well as the general Surveying services. The role of Building Surveyor Completing design and specification work Completing party wall and dilapidatioj Completing refurbishments of buildings Managing new developments and overseeing project work Experience RICS Accredited Degree At least 2 years' experience in Surveying capacity Passion to learn and develop under guidance Willingness to become Chartered Why choose our client? The company we liaise with has a passion for delivering quality and efficient valuations that matches their standards that they have set for the years since establishing. As well as being a part of an experienced and passionate workforce, staff can expect a variety of benefits such as: A competitive salary, car allowance, health care and a 5% company pension scheme. For more information on our client and the opportunity of being part of their successful Rugby, please call Dario Bharat on or email him at . 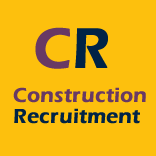 MEP Cost Manager Are you a Quantity Surveyor/Cost Manager in MEP aspects of building and work for a construction consultancy in the London area? We are seeking an experienced Cost Manager to deliver informed and tailored MEP services to clients across a range of sectors. Company profile MEP Cost Manager: Our client is a leading construction consultancy that specialise in project and cost management, quantity surveying and CDM. They work on projects across commercial, residential, education, healthcare, hotel/leisure, retail and mixed-use developments. Their team of professional's work with clients from concept, pre-construction, construction, completion and post build. Duties MEP Cost Manager: *Prepare and conduct cost plans, feasibility studies, tender documentation and pre-tender estimates. *Attend and contribute to client, site and design team meetings *Prepare robust contract documentation *Carry out post contract quantity surveying activities, including: oPreparing cost reports. oAgreeing monthly valuations. oValuing variations. oAgreeing final accounts *Manage relations with internal & external stakeholders Skills and qualifications for MEP Cost Manager: *Communicates clearly to clients and produce high quality reports *Manage multiple projects *Familiar with the complex MEP systems used by businesses and have an excellent delivery track record. *Contributes own views and receptive to others *Adds value and strengthens client relations *MRICS or FRICS *Both pre and post-contract skills, focus on cost planning *General Residential, mixed use and Commercial experience preferable Package MEP Cost Manager: Guide salary: £50-65,000 Discretionary bonus, benefits Please contact us ASAP for more information on this MEP Cost Manager role. Our client is considered one of the largest independent Estate Agencies and Chartered Surveyors in Norfolk and is currently looking for a Trainee Surveyor to join their team. As a company, they bring a person-orientated approach to the selling and letting of both commercial and residential property. The ideal candidate will be a tenacious individual with drive, passion, excellent communication skills and a desire to immerse yourself in learning about the local and regional property markets. The successful candidate will be trained in: Undertaking property inspections and producing marketing appraisals. Negotiating both leasehold and freehold deals with applicants and vendors/landlords. Identifying opportunities in the market. Providing an acquisition service for clients seeking a new commercial property. Dealing with a wide variety of properties across a range of sectors; industrial, office, retail, investment and commercial development. Assisting in the preparation of Red Book Valuations Professional work including rent reviews and lease renewal negotiations In return our client will offer: The opportunity to build up your CPD, being both from there established internal structured training programmes, and external RICS accredited courses. £18,000 - £22,000 Basic Flexible benefits package GCB Agency Recruitment Ltd is acting as an Employment Agency in relation to this vacancy. M&E Quantity Surveyor A chance to work on a £40 million high end residential project in Central London. If you are keen on working with a tier one M&E contractor in London then this could be the next step for you… You will have the opportunity to work alongside some of the most successful M&E quantity surveyors/commercial managers in London. You will gain experience and tips that will help you progress within the industry. You will also have the chance to have ongoing professional training and development. If you're an Intermediate M&E Quantity Surveyor with a minimum of 2-3 years experience wanting progression and on going training & support this could be the right role for you. See below typical duties which may change depending on project and experience level: Cost Value reconciliations (CVRs) Take offs Cash Flow forecasting Management of subcontractor accounts Negotiation of variations, calculations & settlement of final accounts Procurement of specialist Mechanical and Electrical Sub-Contractors Preparation of monthly Project Valuations and preparation of Project Final Account Candidate requirements/Benefits: Ambitious and enthusiastic towards their career and projects Strong communication skills Experience working within an M&E Contractor Relevant qualifications Benefits Competitive salary/expenses If you are an assistant/intermediate/senior M&E quantity surveyor looking at new career options please contact Lily George on Randstad CPE values diversity and promotes equality. No terminology in this advert is intended to discriminate against any of the protected characteristics that fall under the Equality Act 2010. We encourage and welcome applications from all sections of society and are more than happy to discuss reasonable adjustments and/or additional arrangements as required to support your application. Candidates must be eligible to live and work in the UK. For the purposes of the Conduct Regulations 2003, when advertising permanent vacancies we are acting as an Employment Agency, and when advertising temporary/contract vacancies we are acting as an Employment Business. This is a fantastic opportunity to join the Viability & Affordable Housing team (part of our Development Consultancy team), providing development viability appraisal advice to a range of private development companies active in London and the South East. The Viability & Affordable Housing team is a young and profitable team made up of 8 dedicated and experienced professionals. This is an opportunity to progress your career in a successful and growing team. The Senior Development Surveyor will be based in London but will be expected to travel within the UK from time to time in order to undertake site visits and attend meetings. The Senior Development Surveyor will report into a Director within the Viability and Affordable Housing team. Key responsibilities will include: Liaising with project team members and other property professionals to source information for development appraisals. Undertaking development appraisals for various purposes including Financial Viability Assessments, development scheme option appraisals and cash flow modelling; Preparing Financial Viability reports to justify levels of affordable housing and other planning benefits contained within a planning application; Undertaking research and sourcing comparable evidence for valuation purposes - commercial and residential properties; Undertaking valuations of existing properties and/ or land; Desired Skills and Experience Member of the Royal Institution of Chartered Surveyors; 2/3+ years post MRICS qualification experience or equivalent; Experienced Argus Developer user; Good valuation experience - preferably a Registered Valuer; Experience of commercial & residential development market; Good communication and negotiation skills. Client facing skills, confidence and self-motivation are vital. About this company GL Hearn part of the Capita Group is one of the UK's leading property consultancies providing trusted commercial property advice to the public sector, developers, investors and occupiers. Our goal is a simple one - to understand our clients' business and combine our expertise and enthusiasm to help them create, develop, protect and enhance their business interests. GL Hearn is one of the country's top 20 multi-disciplinary property consultancies with highly experienced specialists in disciplines such as development consultancy, planning, valuation, investment, business rates and building consultancy. Capita Resourcing operates as an equal opportunities employer and we welcome applications from all suitably qualified candidates regardless of gender identity or gender expression, marital status, sexual orientation, pregnancy or maternity, ethnic origin, nationality, religion or beliefs, disability, age, political opinions or trade union membership. Graduate Rural Surveyor Location - Kettering Salary - £25,000 + Benefits Our client is looking to expand their Rural Surveying team by bringing on board a Graduate looking to pursue a career within estate management. The ideal candidate will be someone who has completed a Real Estate Management Degree, or a RICS accredited degree with experience in Estate Management. The individual will be working on tenancy agreements as well as liaising with landlords and tenants across a number of different sectors including residential and commercial properties. Successful applicants will be driven and motivated in becoming chartered alongside our client. The role of Graduate Rural Surveyor Main duties include Property management Landlord and tenancy agreements Property and asset valuations Maintaining accounts Experience required Full UK driving licence RICS Accredited Degree/Estate management Degree Strong maths skills Excellent IT skills Why choose our client Our client has a strong ethos in guiding the next generation and enabling them to become chartered. As well as committing to achieving your APC process, our client can offer a generous benefits package including a competitive salary, Company Car on completion of chartership and competitive holiday package. If you are a Graduate Rural Surveyor looking for your next opportunity, please call Dario Bharat on or email him at . Chartered Building Surveyor - Manchester Salary: £45,000-£55,000 + Benefits Penguin Recruitment are delighted to be working with a highly regarded independent Building Consultancy who began their journey 15 years ago and now are proud to have spread several offices across the UK. The company are particularly popular because of their ability to maintain long term relationships with clients and employees. They currently have an amazing opportunity for a Chartered Building Surveyor to join their team in Manchester. As a Chartered Building Surveyor, your responsibilities will include: To Manage all projects assigned to you within your region Provide Practical and Commercially focused advise Carry out Building Surveys, dilapidations, cost consultancy, CAD drawings Cover a range of sectors including, Retail, Industrial and Residential Maintain a strong track record with Investors, Developers, Occupiers and owners Work on Projects in private sector in the UK and with international clients Deliver tailored solutions according to clients' needs Key Skills required for the Successful Chartered Building Surveyor: MRICS Chartered Full UK driving License - be able to travel all over the UK Have proven experience in commercial and dilapidations - both tenant and landlord Have a unique approach, be a focused and self-driven individual Have experience of maintaining long term client relationships by providing an outstanding service at all points in your career Successful candidates will benefit from a competitive salary, a pension scheme, 21 days holidays and much more. For more information on the Chartered Building Surveyor vacancy please call Rima Rezwana on for an informal chat or alternatively email - Commutable locations: Liverpool, Stockport, Bolton, Rochdale, Huddersfield, Sheffield, Preston, Leeds Skill words: Project Management, Project Delivery, Surveying, Construction, Structural improvements, Valuation, Time Management, Excellent communication.